Take your choice from the following superb places to unwind. 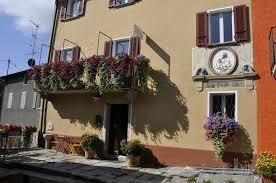 Friendly and easy-going - that is what defines hospitality at Villa del Sole, partner to Bike-Shuttle Ticino. From arrival to departure, you will enjoy every moment of your stay and want to come back for more. 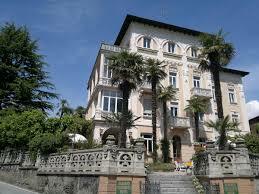 Villa del Sole is a great place from where to set out on discovering the Malcantone region. 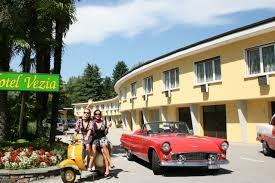 Welcome to Ticino and to the Paladina Hotel, located in Pura. Whatever one may be after, the Paladina Hotel offers an exceptional number of absorbing activities to: bikers and hikers, sports enthusiasts, families with children, singles and couples, laid-back friends of nature as well as to friends of art. 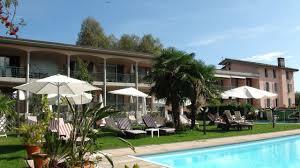 The Paladina crew are happy to make your stay in Switzerland's most mediterranean region an unforgettable one. 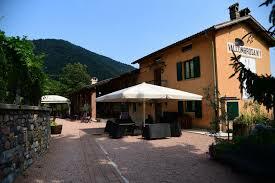 Casa Santa Stefano, tucked away in the heart of Malcantone, is located in a village typical of Ticino. 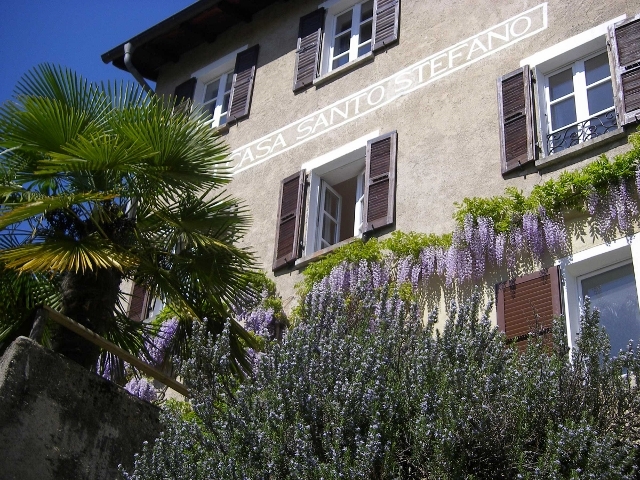 Enjoying lots of sunshine, Casa Santa Stefano is at the centre of a romantic area boasting chestnut woods and waterfalls. Ideal venue to unwind or for great outings. The hotel also hosts seminars. 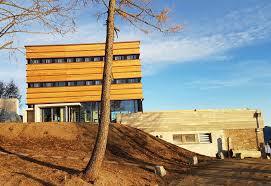 Whatever the season, Arosio, located on 830 metres above sea level, is a superb spot to start your day out. Sports enthusiasts appreciate the Alto Malcantone region as their centre of outdoor activities and leisure. Up in the hills in the village of Cademario, yet still close to the vibrant centre of Lugano, Cacciatori Hotel & Spa awaits you with perfect silence - subtly interrupted only by the twittering of the birds. Enjoy your stay whether you are on a hike, go for a swim, sleep or pamper your taste buds. For over a century, Kurhaus Cademario has been the perfect location for those looking for a holiday dedicated to well-being. 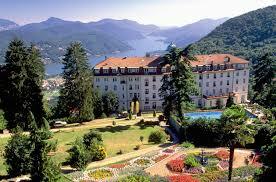 From its privileged setting, it offers a breathtaking view of Lake Lugano. 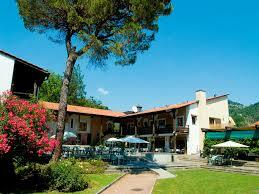 I Grappoli - The Grapes - is a sunny paradise boasting a large park. 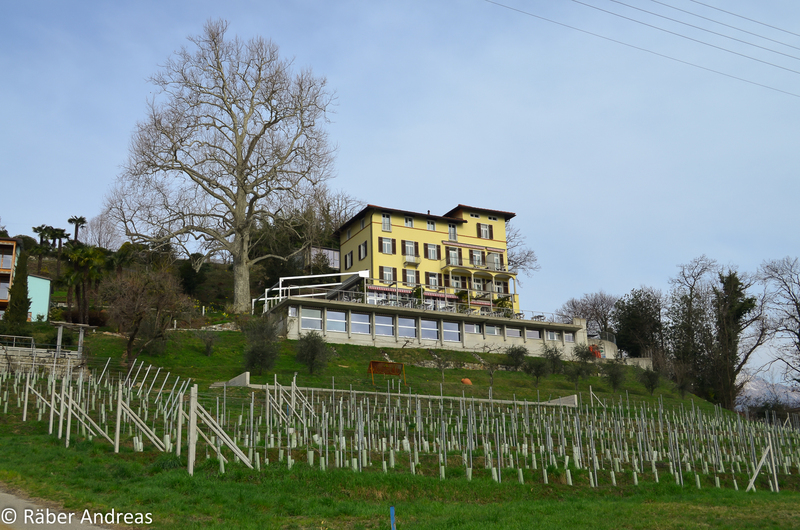 If you like Ticino Merlot grown in a mild sunny climate, then try the Vallombrosa bed & breakfast place. 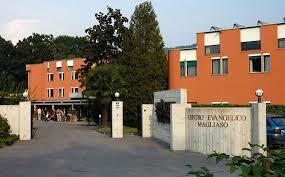 Set on the beautiful backdrop of Malcantone, the very heart of the famous Merlot wine. A gorgeous landscape dominated by woods of oak, chestnut and robinia trees. To all those who appreciate less formal accommodation we offer a perfect setting. Families, sports and outdoor enthusiasts, groups small and large, and individuals who appreciate the combination of lower rates and a laid-back atmosphere will arrive as guests and leave as friends. The Vezia Hotel takes you straight back to the fabulous fifties: a dream come true for true fans of Elvis Presley, Marilyn Monroe and James Dean! 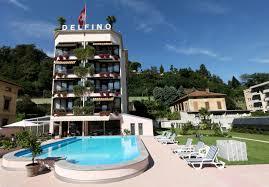 The Delfino Hotel, known for its friendly and relaxed atmosphere, is open throughout the year. 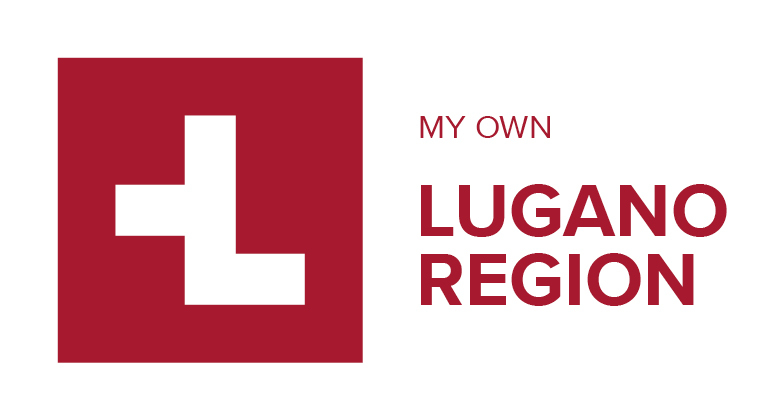 It is located just a breath away from Lugano's key spots including the city centre, the LAC (Lugano Arts and Culture Centre) and the cable-car station to Monte San Salvatore. 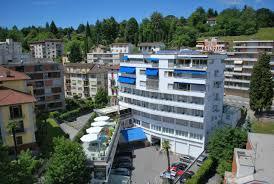 The Lugano-Savosa Youth Hostel is known as one of the most beautiful hostels in Europe. The friendly hospitality and enthusiastic management of the Wassmann-Majek family have made this place a true oasis of peace. No wonder many guests have made it their regular. 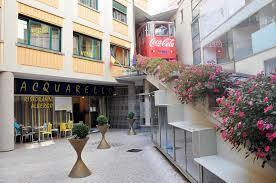 The Acquarello Hotel is located in the city centre, within the pedestrian area, and just a stone's throw from Lake Lugano. Charming family-run hotel, centrally located and boasting bright, renovated rooms. Bikers will be delighted to see the latest models of Merida, Willier and Centurion on display. And what is more, Merida bikes are available for test rides! This four-star hotel is located within a short walking distance from the lake and the city centre, and the LAC (Lugano Arts and Culture Centre), of course. Thanks to the Besomi family, who took over management in 2012, the historic charme was restored to this lovely art nouveau-style hotel. Though modern and close to the city, this backpackers' lodge of the Swiss Alpine Club (SAC) offers the amenities and atmosphere essential to a true mountain lodge. Secured room for bikes included.